We started Sketchfab in 2012, and a lot of things have changed since then. For the past 6 years, we’ve been focusing on building the best product and technology. Sketchfab works everywhere (including directly within Facebook, Twitter, and more than 100 other integrations). Our online renderer is the best in the industry, with support for PBR, animations, subsurface scattering, positional audio and more. We support VR on almost every headset, and AR on both iOS and android. We offer a scalable solution, capable of supporting thousands of uploads and millions of views every day. When we first introduced our paid plans, they were mostly geared toward individual creators and were also taking into account that the technology was young. As we’ve significantly improved our platform and grown our community, we’ve noticed that more and more companies, big and small, are using Sketchfab as part of their business. Even among our individual creators, about half of you use Sketchfab for work. That’s why we felt the need to review our plans and pricing structure, to better reflect the value we bring to you. We remain committed to offering free use of Sketchfab to the entire 3D community. At the same time we want to ensure Sketchfab is a powerful solution for commercial projects too, and so we’re introducing new features that have been long requested and making some changes. Viewer API: our viewer API lets you build advanced applications like 3D configurators, mostly used for commercial purposes, resulting in increased engagement and conversion rates. That’s why we are now requiring a premium membership in order to be able to use the API for commercial applications. 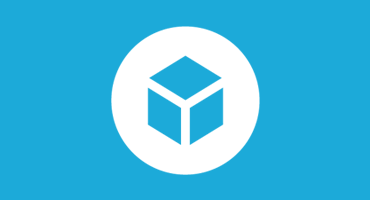 Outside link: many users looking to use Sketchfab for commercial purposes have requested an option to remove the link back to Sketchfab in our embeds in order to avoid any distraction for their clients. We now offer this feature as part of our new Business plan. White label viewer: the option to use our technology completely white-labeled – without any Sketchfab branding – has been one of our top requested features, and we now offer it as part of our Enterprise plan. In addition, we’re offering analytics and a dedicated account manager. While updating pricing is never easy, we feel this is the right thing to do in order to best serve our community, build a sustainable business, and keep providing the best service for everyone for years to come. If you are already a paying member, we would like to thank you for your trust in our service. You will receive an email confirming the status of your account, and inviting you to pick a new plan fitting your needs. I think this is a great plan. It lets users who use Sketchfab as a business tool to offer corporate clients a look that is their own instead of a third party plug-in look. My only concern is those of us that will sell the new options and thus promote your enterprise license to corporate clients, will not be able to do so without showing them something less than the “White label viewer”. Which is fine if we can port all the time and work done in our business, or premium license models to our client’s enterprise account when it’s ready to go public. Thanks Chris for the feedback. That’s a valid point, and we are looking into the best ways to accommodate freelancers and agencies reselling Sketchfab to their clients. I’m not happy on the new limit imposed on private uploads. Pro went from $10/Month previously to $15/Month and I only get 20 private uploads/month. I have to pay $80/Month now to get more than 20 uploads, seriously? This is going to hurt my freelancing, terrible. Correction: It’s $19/Month for Pro and $99/Premium now, versus $10/Month previously for unlimited uploads. It’s essentially multiple orders of magnitude more expensive for less. Thanks Khalid for the feedback. From what I see you uploaded 25 private models since you joined in July of this year, so hopefully you should be all good with a pro plan. Correction: pro is still $15/month if paid yearly, and was $10 before. Paid monthly, it was $15 and is now $19/month. We hope the $4 increase is worth it given the improvements we’ve made to the platform over the past 5 years, since we introduced this pricing. It’s not my account specifically but my partner, who I REFERRED to Sketchfab that is going to be directly impacted by this limit, from which I’ll have to pay. We use Sketchfab to share/collaborate and I use my account to archive. Nonetheless, we’re still both impacted by this. The service is great, but a sharp increase in price with a lot less features is not. Not a good business model. Too many varieties, with too little benefits between plans. Having minor changes based on lack of or crippling of features comes across as petty and never works in the long term. Also the cost and benefits of a pro plan just doesn’t make it worth it. I want either somewhere I can host 3d files in private and public with full access to tools in the web browser with tiered storage pricing or a second option with fullblown access to API . As a free service for me being able to test models in private is a must before they are ready for public release. It’s a pity as I was considering going pro if it wasn’t a hobbled product. So I would suggest pricing as such , free, pro or enterprise, with storage options. If hosting too many free private files is an issue, put a time limit on them? Hmm. Time will tell I guess. Thanks Richard for the feedback. We did think about charging for storage – which would be the most natural thing to do – but this would impact many more users. We felt the decision to only cap monthly private uploads was more user friendly, and given the tiers we went for, it actually impacts very very few users. Users who are already going beyond 20 private uploads per month are typically studios or agencies, for which we feel the pricing is fair. Congrats, you have basically just destroyed your own service. The private uploads limit is a terrible move… Was going to start using your site more and go paid, but not after that. From my point of view these plans are a fair deal. I’m developing sites for businesses using Sketchfab and I think it’s reasonable that if a business makes money while using Sketchfab, Sketchfab is compensated. It’s a professional platform with a real benefit over alternatives such as product photography or product videos. While the difference in price between the premium and business plan seems large compared to what you get (a few more private uploads and no outside link in the embed) I think it’s justified. When running an ecommerce business using Sketchfab to present your product in a shop, let’s say sneakers or appliances, you need to improve your funnel to increase sales. Removing the outside link is worth a lot in that case. Of course this depends on the product and the amount of sales you make. As for the cap on private models. I use private models for tests and communication with my clients. Once they’ve served their purpose I can discard them. Looking at the conditions (https://help.sketchfab.com/hc/en-us/articles/115000422206-Private-Models), deleting a private model gives me back one credit. If I have a model which needs to be iterated upon, I can re-upload which shouldn’t cost me a credit. While 20 private uploads in the pro plan seems low, I can actually get a lot out of it (of course I am not you). Keep in mind that Sketchfab is able to keep this up without any advertising. For me, this is worth a lot and worth paying for. The large price hike is going to put off many of my smaller clients (and potential clients) without a doubt. We need API access for all of our projects. Perhaps the increase would be easier to swallow If it were possible to dynamically add / remove model elements via the API because we could build configurators for larger clients with more complex products (and bigger budgets). As it stands now though we have to keep things fairly simple for fear of huge models or poor mobile experiences. Also I find it incredible that even for $400/month you cannot white-label the viewer. My client was quoted an astronomical price (I wont quote it here) for an enterprise plan just to achieve that one thing – the removal of the bottom-left icon. I wish that single feature were available as an ‘add on’. I currently have the Pro plan. A 50% increase in price for less service? I won’t be renewing next year, sorry. I’ll figure out how to use Blend4Web. – looking at your account, it seems you are well below 20 private uploads per month (from what I see, the highest number of private uploads you’ve made in a given month was 4), so the capping shouldn’t be impacting you. Our intent with the new pricing is to better reflect all those additions we’ve made over the past 5 years, without having to rely on advertising to sustain the platform. It’s cute that you’re trying to invalidate my concerns by comparing my past use to the updated plans, but if I get a client that wants a lot of updates, I’m SOL. We’re not talking about “back then”, we’re talking about “right now”. The platform I CURRENTLY pay for can do all of those things, and when the current subscription runs out, the service will cost 50% more and suddenly have more limitations. If you were willing to “grandfather in” current customers so we could simply keep their current “pro” plan, I’d personally be okay with a 20% hike in pricing. I understand that costs increase. But changing our plans this severely in both price and services rendered is unacceptable. I understand that I’m simply a lone user, but I figure I’m not the only one that feels this way, so I’ll make my voice heard the only way I can, with my wallet. If the plans do not change significantly, when my current subscription runs out, I will be taking you up on your invitation to pick a new plan fitting my needs, choose “Free,” and take my money elsewhere. Just out of curiosity, in what way do you feel blend4web is a replacement for sketchfab? I can definitely see areas where they both overlap and could replace each other. But there are many features in sketchfab not present in b4w, and the other way round. It depends on how you intend to use the platforms. Also, keep in mind that not all types of use of b4w are actually free, which makes a lot of sense. It’s a complex engine capable of a lot. Well, what I “need” is a secure way to send previews of model files to clients, and showing my portfolio online. Sketchfab with password-protected private models is what I’ve been using for the first, but I can do that by sending them an .html file (from blend4web) over email. For the second, blend4web can also handle that just fine, or I can also just use Sketchfab’s public models, because a portfolio should be public. I also enjoy sharing my work over facebook, which would be more difficult without Sketchfab, but their free version can handle that just fine, since those models would be public anyhow. Yes, exactly, Sketchfab is a complex engine capable of a lot, that’s why It would have to differentiate at least between the Viewer API users from the Data API users. It’s not the same to build a corporate catalogue with configurable 3d models, database driven, uploaded directly from a high end CAD/CGI software, or a 3D viewer used to change the texture of one Blender model. Nowadays, setting up a 3D viewer and two buttons to change texture / hide a node it costs less than a month of Sketchfab Business account. There is still a very important aspect, not yet mentioned: Sketchfab’s update policy. There is no stable release. I’ve been using the API since it first appeared. I always have customers complaining about bugs, lags, browser freezing (ssao in Chrome, but not in Firefox Q) even stopping (remember viewerReady) due to updates. I’m not willing to review for free a program whenever there’s an update, announced or not. All things evolve, even the best ! Congratulations ! 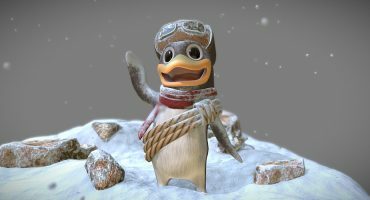 Sketchfab is becoming professional & it is rather good news ! We have 6 months to think about the new bizness plan, however, a little roadmap can be interesting, because the path remains long between a viewer & a engine, authoring ? actions ? scenes ? cams ? ui ? But I do not worry, Sketchfab evolves wonderfully well, bravo to the team ! I’m extreemly disappointed with the new API use only available in the $79 a month plan. I have a client use case for the viewer by API, but its for limited use by Maybe 20 employees. I was so excited to find out the Sketchfab API for customizing the viewer. But now with the price increase I’m going to need to start looking somewhere else for a better priced solution. Thanks David for the feedback. $79 split between 20 employees is not even $4 a month, which is below any per-pay-seat solution you’ll find out there. We do realize we don’t offer a multiple seats solution yet – that’s something we’d like to work on in the future – but we think this pricing is a fair deal for use within a 10+ company setup. Madalin makes a fair point about the API. I’m all for professional prices for professional tools. It makes sense to make the API less casual (if that’s a thing). Especially the data API needs work for larger projects and versioning makes sense too. Being called by clients that something “broke” overnight due to an API update is hardly fun. I think that with these price updates sketchfab gives itself room to actually work on these things.